UMBC is one of a handful of universities across the country to receive new funding from the National Science Foundation (NSF) for a specialized program to support faculty diversity in the biomedical sciences. The new initiative, the PROMISE Academy, is an extension of Maryland’s nationally-regarded PROMISE AGEP program, which UMBC co-leads with University of Maryland, College Park and University of Maryland, Baltimore. The Promise Academy serves all schools within the University System of Maryland. The legacy PROMISE AGEP initiative offers community, academic and emotional support, and professional development opportunities to graduate students, postdoctoral fellows, and faculty across the state. The new PROMISE Academy is officially titled, “The AGEP Alliance State System Model to Transform the Hiring Practices and Career Success of Tenure Track Historically Underrepresented Minority Faculty in Biomedical Sciences.” This new AGEP will draw on the expertise of universities around the nation and evidence-based best practices to recruit and retain a diverse group of faculty members in STEM fields. (l to r) Sarah Shin, associate provost for academic affairs; Janet Rutledge, dean of the Graduate School; and Wendy Carter-Veale, program coordinator at the Graduate School, at the November 27 leadership meeting. Photo by Shawnisha Hester. UMBC’s partners in this work include the University of Maryland, College Park; University of Maryland, Baltimore; Towson University; and Salisbury University. The PROMISE Academy joins other new, faculty-focused NSF-funded Alliance for Graduate Education and the Professoriate (AGEP) programs based at UC Berkeley, Georgia Tech, Tuskegee University, and Stony Brook University. 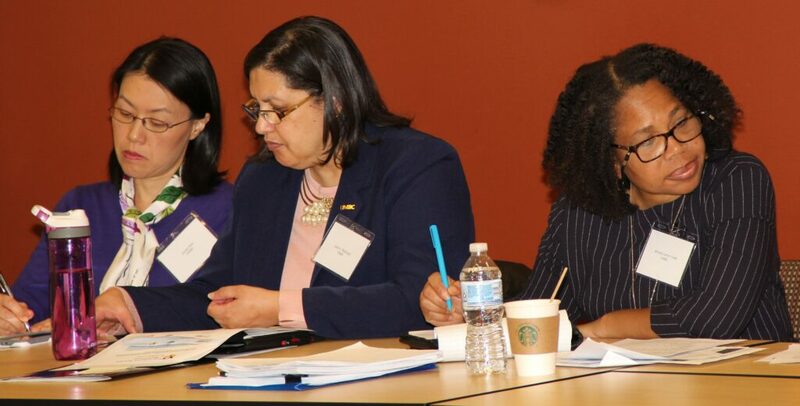 On November 27, leaders from the Maryland partner institutions and other universities around the country met for the PROMISE Academy Inaugural Leadership Meeting. The meeting was held at the Universities at Shady Grove, a consortium of University System of Maryland (USM) institutions located in Montgomery County. At the meeting, Provost Philip Rous and Dean Bill LaCourse presented the Natural Sciences Pre-professoriate Fellowship Program in UMBC’s College of Natural and Mathematical Sciences, an example of the type of initiative the AGEP encourages. The program offers postdoctoral fellows an appointment of up to two years, during which they receive support in preparing for tenure-track assistant professor positions at UMBC. In addition to being strong scholars, the applicants must be committed to diversity in higher education. Renetta Tull. Photo by Marlayna Demond ’11 for UMBC. Renetta Garrison Tull is an international leader in STEM diversity who kicked off the inaugural meeting. 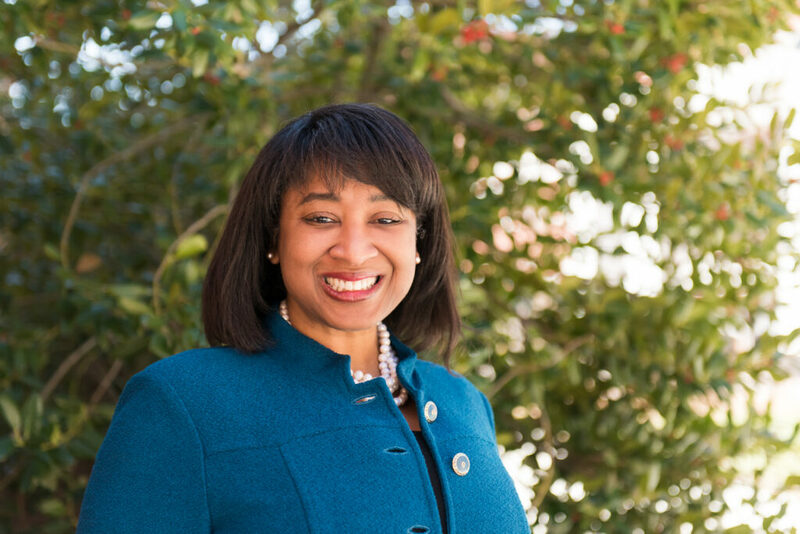 Tull is associate vice provost of strategic initiatives at UMBC and USM’s director of graduate and professional pipeline development. “With so many top programs supporting the success of diverse students and faculty, UMBC has a strong foundation on which to build. We are proud to collaborate with our USM alliance partners in this system-wide endeavor,” Tull said. Banner image: UMBC’s Biological Sciences Building and Library Pond. Photo by Marlayna Demond ’11 for UMBC.